Ann Williams is a former senior writer for National Geographic magazine and online news, where she covered the world and all that’s in it for almost three decades. Williams received a B.A. in classical and Near Eastern archaeology from Bryn Mawr College and an M.A. in West Asian archaeology, with minors in Egyptology and Akkadian cuneiform, from the University of Toronto. She and her husband live in Silver Spring, Maryland, and travel whenever they get the chance. The emperors of Egypt were known as Pharaohs. They had a vast empire and enormous gold. They believed in after life. So they mummified the dead body of the king and buried in a tomb. They put beside the dead a lot of treasure and even the things of everyday need. These things were meant for use in the next life. 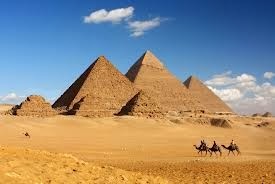 These tombs were built up to 26 feet below and the mummy was put in a gold case. Tut was the last of a ruling dynasty. He died young, only nine years after occupying the throne. 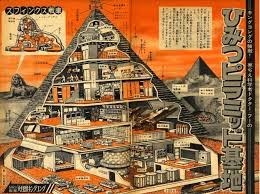 His tomb was discovered after years of searching and investigated in 1922 by a British archaeologist, Howard Carter. He had trouble in taking the mummy out of the coffin of solid gold. The resins had hardened. The body was cut and removed in parts. It was reassembled and put in a case at the resting place. But it was taken out again for CT scan in 2005 to solve the mystery of his death.The CT scan dispelled all doubts. Nothing had gone seriously wrong. 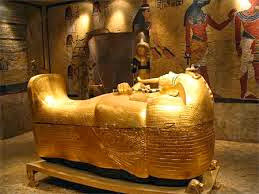 Tut is resting in peace in his tomb in the valley of the departed kings of Egypt. Tut or Tutankhamun was a teen aged heir to the royal throne of Egypt. The family had ruled Egypt for centuries. But Tut died young. He was the last of the family line. His funeral marked the end of a dynasty. But the details of his passing away are not clear. Tut’s father or grandfather Amenhotep III was a powerful Pharaoh who ruled for almost 40 years. His son Amenhotep IV succeeded him. The new king promoted the worship of the Aten, the sun-disc. He changed his name to Akhenaten, or the servant of the Sun-god. He also shifted the religious capital from the old city of Thebes to the new city. He also shocked the country further by attacking Amun, a major god, breaking down his images and closing his temples. He was succeeded by another mysterious ruler who died soon. Then a very young Tutankhaten sat on the throne. He is widely known today as Tut. He restored the old ways, the worship of god Amun. He also changed his name to Tutankhamun. He ruled for about nine years and then died unexpectedly. Tut’s mummy was discovered in 1922 by a British archaeologist, Haward Carter. Perhaps he was murdered. But he was laid to rest with a lot of gold and with everyday things like games, a bronze razor, clothes and cases of food and wine. It was believed that the dead Pharaoh would need those things in the afterlife. Howard Carter was a British archaeologist who in 1922 discovered Tut’s tomb after years of searching. Much of the treasure buried in the tomb had already been looted. Even then, it was the richest royal collection ever found in any tomb. The rock cut tomb was some 26 feet underground. The walls had paintings. Tut’s gilded face was there on the outer coffin lid. After months of recording the treasures, Carter began investigating the three layered coffin of Tut in the tomb. In the first one he found the garlands of olive leaves, lotus petals and corn flowers. The burial, it seemed, was done in March or April. 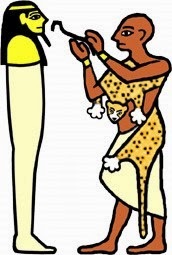 When Carter finally reached Tut’s mummy, he faced trouble. Resins used for cementing Tut to the bottom of his solid gold coffin had become very hard. It was impossible to free the body from the resins. Even the burning sun failed to melt it. The resins had to be removed, using a chisel and hammer from beneath the limbs of the body. Carter really had little choice. If he had not cut the mummy limb by limb, the thieves would have taken all the gold away. Carter’s men first removed mummies head, then cut off every major joint. Once the body removed in parts was reassembled on a layer of sand in a wooden box and put at the original place. In 1968, an anatomy professor X-rayed the mummy and revealed a new fact. He said that the breast bone and front ribs of Tut’s body were missing. Today CT (Computed Tomography) takes hundreds of X-rays and creates a three-dimensional image of a body. It was on 5 January 2005 that the world’s most famous mummy of Tut was put into a CT scanner to answer two big questions—how did Tut die, and how old was he at the time of death? The CT machine was donated by its manufacturer – Siemens. King Tut had died some 3,300 years ago. On the night of the scan the workmen carried Tut from the tomb in his box. They put it on a trailor that held the scanner. The process took less than three hours. The Pharaoh was carried back in the tomb again. The CT scan dispelled all doubts. Nothing had gone seriously wrong. Tut is resting in peace in his tomb in the valley of the departed kings of Egypt. Tutenkhamen was an Egyptian pharaoh of the 18th dynasty (1332–1323 BC) during the period of Egyptian history known as the New Kingdom. He was the son of Akhenaten (formerly Amenhotep IV). As a prince, he was known as Tutankhaten. He ascended to the throne in 1333 BC, at the age of nine or ten. When he became king, he married his half-sister, Ankhesenpaten, who later changed her name to Ankhesenamun. They had two daughters, both stillborn. One daughter died at 5–6 months of pregnancy and the other at 9 months of pregnancy. Tutankhamun’s parents were brother and sister. It is known from history that Tutankhamun’s wife, Ankhesenamun was the daughter of Akhenaten and Nefertiti, and thus likely to be her husband’s half-sister. A further autopsy and genetic evidence in 2014 re-confirmed the 2010 findings that Tutankhamun was the product of a brother-sister relationship. Inbreeding was rampant among ancient Egyptian royals, who saw themselves as descendants of the gods and hoped to maintain pure bloodlines. King Tut probably had very powerful advisers. In his third regnal year, under the influence of his advisors, Tutankhamun reversed several changes made during his father’s reign. He changed his name to Tutankhamun, “Living image of Amun”. He ended the worship of the god Aten and restored the god Amun to supremacy. The capital was moved back to Thebes and the city of Akhetaten abandoned. The country was economically weak and in turmoil following the reign of Akhenaten. Diplomatic relations with other kingdoms had been neglected, and Tutankhamun sought to restore them. Tutankhamun was roughly 180 cm (5 feet 11 inch) tall. The research showed that Tutankhamun also had “a slightly cleft palate” and possibly a mild case of scoliosis, a medical condition in which the spine deviates to the side from the normal position. Examination of Tutankhamun’s body has also revealed deformations in his left foot, caused by necrosis of bone tissue. The affliction may have forced Tutankhamun to walk with the use of a cane, many of which were found in his tomb. There are no surviving records of Tutankhamun’s final days. What caused Tutankhamun’s death has been the subject of considerable debate. Major studies have been conducted in an effort to establish the cause of death. There is some evidence, advanced by Harvard microbiologist Ralph Mitchell, that his burial may have been hurried. Mitchell reported that dark brown splotches on the decorated walls of Tutankhamun’s burial chamber suggested that he had been entombed even before the paint had a chance to dry. Although there is some speculation that Tutankhamun was assassinated, the consensus is that his death was accidental. A CT scan taken in 2005 showed that he had suffered a compound left leg fracture shortly before his death, and that the leg had become infected. DNA analysis conducted in 2010 showed the presence of malaria in his system, leading to the belief that malaria and Köhler disease II combined led to his death. On 14 September 2012, ABC News presented a further theory about Tutankhamun’s death, developed by lecturer and surgeon Dr. Hutan Ashrafian, who believed that temporal lobe epilepsy caused a fatal fall which also broke Tutankhamun’s leg. A research team, consisting of Egyptian scientists Yehia Gad and Somaia Ismail from the National Research Centre in Cairo, conducted further CT scans under the direction of Ashraf Selim and Sahar Saleem of the Faculty of Medicine at Cairo University. Three international experts served as consultants: Carsten Pusch of the Eberhard Karls University of Tübingen, Germany; Albert Zink of the EURAC-Institute for Mummies and the Iceman in Bolzano, Italy; and Paul Gostner of the Central Hospital Bolzano. STR analysis based DNA fingerprinting analysis combined with the other techniques have rejected the hypothesis of gynecomastia and craniosynostoses (e.g., Antley-Bixler syndrome) or Marfan syndrome, but an accumulation of malformations in Tutankhamun’s family was evident. Several pathologies including Köhler disease II were diagnosed in Tutankhamun; none alone would have caused death. Genetic testing for STEVOR, AMA1, or MSP1 genes specific for Plasmodium falciparum revealed indications of malaria tropica in 4 mummies, including Tutankhamun’s. However, their exact contribution to the causality of his death still is highly debated. If Tutankhamun did suffer from a bone disease which was crippling, it may not have been fatal. “Perhaps he struggled against other [congenital flaws] until a severe bout of malaria or a leg broken in an accident added one strain too many to a body that could no longer carry the load”, wrote Zahi Hawass, archeologist and head of Egyptian Supreme Council of Antiquity involved in the research. A review of the medical findings to date found that he suffered from mild kyphoscoliosis, pes planus, hypophalangism of the right foot, bone necrosis of second and third metatarsal bones of the left foot, malaria, and a complex fracture of the right knee shortly before death. In late 2013, Egyptologist Dr. Chris Naunton concluded that Tutankhamun was killed in a chariot crash: a chariot smashed into him while he was on his knees, shattering his ribs and pelvis. Wife: His wife was his half-sister. Children: Two still born girls. Heir = a person legally entitled to the property or rank of another on that person’s death. Tomb = a large grave built of stone above or below the ground. CT scan = A computerized tomography combines a series of X-ray images taken from different angles and uses computer processing to create cross-sectional images, or slices, of the bones, blood vessels and soft tissues inside your body. Reconstruction = constructing the same thing again. Forensic reconstruction= is the process of recreating an individual from their skeletal remains through an amalgamation of artistry, forensic science, anthropology, osteology, and anatomy. Cemetery = the place where dead bodies are buried. Mummy = a preserved dead body. Murals = paintings on the wall. Coffin = box in which dead body is kept. Antiquities = very old things. Archaeologist = a scientist who studies ancient remains. Legend = an old story handed from generations. Artefacts =things of art made by hands. Linen = a fabric cloth made from flax used to make high quality clothes. Nested = fitted inside each other. Shroud = cover of the dead body. Willow = a tree that has soft wood. Cornflowers =bluish-purple flowers of a wild plant. n water, exuded by some trees and other plants. Amulets = something worn round the neck or arm or waist (Taaveez) to keep away the evil. Sheaths = coverings to keep the sword in. Adornments =things for decoration and make-up. Archaeology =science of studying ancient sites/buildings. Tomography = a technique for displaying a representation of a cross section through a human body or other solid object using X-rays or ultrasound. Cross section = parts seen when a thing is cut in the middle. Pallbearers = those who carry coffins. Q1. Who was Howard Carter? What was his discovery? Ans. Howard Carter was a British archaeologist. After years of searching he discovered King Tut’s tomb in 1922 over 3300 years after his death. Tut died at the age of 19 but his death was a mystery for all. He was the last ruler of his powerful family that ruled Egypt for centuries. People believed that the king died in mysterious circumstances and his death may involve every possibility of murder. Q2. Why did King Tut’s mummy have to undergo CT scan? Ans. The mummy of King Tut has earned worldwide fame for the riches it was buried with. Further there arose a great controversy about the manner of his death and his age at the time of death. Keeping in the view this controversy, King Tut’s body was ordered to be scanned to examine the delayed medical mysteries about his life and death. Q3. Which questions still linger about Tut? Ans. The two biggest questions that still linger about Tut are how did he die and how old was he at the time of his death? He was the last of his family’s line, and his funeral was the death rattle of a dynasty but the particulars of his passing away and its aftermath were unclear. Q4. Why was Tut’s dead body subjected to CT scrutiny? Ans. Tut’s dead body was subjected to X-rays in 1968 and CT scan in 2005 to ascertain the cause of his death. Q5. In 1968 what was the startling fact revealed by a professor of anatomy about king Tut? Ans. In 1968, more than 40 years after Carter’s discovery of king Tut’s tomb, a professor of anatomy X-rayed Tut’s mummy. He revealed an astonishing fact that beneath the resin that layers his chest, his breast-bone and front ribs are missing. It startled everyone. Q6. What did the tourists do at that time? Ans. The tourists from around the world queued up as usual all afternoon into the narrowed rock-cut tomb. They lined up to pay their homage to king Tut. They watched the murals on the walls of the burial chamber. Some visitors read from guidebook. Others stood silently peering at Tut’s gilded face. Q7. Who did point out that the mummy was in a bad condition? Who was held responsible for it? Ans. Zahi Hawass, Secretary General of Egypt’s Supreme Council of Antiquities, bent over the mummy and watched it very carefully. Then he said the mummy is in a very bad condition because of what Carter did in the 1920s. It was in 1922, Carter discovered king Tut’s tomb. Q8. What was the fate of the contents of Tut’s mummy? Ans. For over 80 years after the discovery ofTut’s tomb in 1922, surprisingly all its contents were complete. They remain the richest royal collection everyfound till 2005. They have now become part of the pharaoh’s legend. Q9. Why did the artifacts cause a sensation at the time of discovery? Ans. The artifacts discovered surprised all present there. They were all made of pure gold. Their shine was enteral and never fading. This eternal brilliance of the artifacts meant to guarantee revival from grave. Q10. What was king Tut’s demise a big event, even by royal standards? Ans. King Tut’s death was of course a big event. Even by royal standards he was the last ruler in his family line. His funeral was the death bell of a dynasty that ruled in Egypt for centuries. The big event is because of the fact that he died unexpectedly at young age. The particulars of his passing and its aftermath are not clear. Q11. Why did some people think the King Tut’s untimely death as the Pharaoh’s curse? Ans. After king Akhenaten’s death a mysterious ruler became the king for a short while and died. Then a very young Tutankhaten took the throne. He changed his name to Tutankhamun, “Living image of Amun.” He restored the worship of Amun whose images were broken and temples closed by the Pharaoh. Thus king Tut disturbed the Pharaoh. Akhenaten and his curse – death Akhenaten had befallen on Tut causing his untimely death in his late teens. Q12. What problem did Carter face when he reached the mummy of King Tut? How did he find a way out? 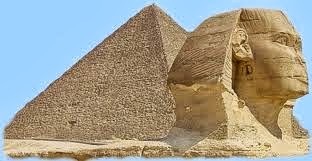 Ans: When Carter alongwith his men were working at the tomb of King Tut, they found that the ritual resins had hardened. They had cemented and the mummy of King Tut could not be taken out. The solidified material could be removed through chisels. The mummy was cut free. His men removed Tut’s head and severed every major joint. Then they were kept in a box on a layer of sand. He defended his act lest the mummy should not fall into the hands of thieves for getting gold. Q13. List some adornments on Tut’s body. Why had the adornments been buried along with the body? Ans. The mummy of Tut was decorated with precious collars, inlaid necklaces, rings, bracelets, amulets and a ceremonial apron. There were sandals, sheaths for fingers and toes and the inner golden coffin and mask. All of them were made of pure gold. According to the beliefs it was thought that they could take their riches with them to the great beyond. Q14. How did Carter defend his action of cutting the mummy free? Ans. Carter in his defense wrote later that if he hadn’t cut the mummy free, thieves would have avoided the guards and ripped it apart to remove all the gold. The mummy had been kept with a lot of wealth, in the form of gold ornaments, etc. Q15. How can C.T scan prove more effective than X-Rays? Ans. C.T scan can prove more effective than X-Rays because it produces hundreds of X-Rays in cross-section which are put together like slices of bread to create a three dimensional virtual body. Q16. How was Tut’s body carried to the C.T scanner? Ans. On the night of the scan, workmen carried Tut from the tomb in his box. Like pallbearers they climbed ramp and a flight of stairs into the swirling sand outside. Then they rose on a hydraulic lift into the trailer that held the scanner. Q17. How was King Tut’s mummy scanned by the CT scanner? Ans. In order to remove the mystery over the death of King Tut, a portable CT scanner was taken in a trailer to the sandy area near Tut’s tomb. His body was carried there from his tomb in a box. The CT machine scanned the mummy from head to toe, creating 1700 digital X-ray images in cross-section. His entire body was scanned in 0.62 millimetre slices. Q18. What snag did the million dollar scanner develop? How was it set right? Ans. The million dollar scanner had developed a snag because of sand in a cooler fan. Eventually substitute fans worked well enough to finish the procedure. Ans. It means that the mummy of King tut was the first one ever to be scanned. The purpose was to reveal the mysteries relating to the period when he was alive. Secondly, it also helped find out the cause of his death in mysterious circumstances. The death occurred only nine years after his taking the throne. Q20. List the deeds that led Ray Johnson to describe Akhenaten as Wacky. Ans. Akhenaten was a crazy and rash ruler. He attacked Amun – a major God, broke his statues and closed his temples. He even shifted the religious capital from the oddity of Thebes to the new city of Akhetaten. Q21. What did the CT scan of Tut’s mummy reveal? Ans. CT scanning gave surprising as well as fascinating images of Tut’s body. The image of a gray head appeared on the computer screen. Neck bones appeared quite clearly. Other images of Tut’s body appeared on the screen. They included a hand and several views of rib-cage and the skull. Q22. “Curse of the Pharaoh”, joked a guard nervously. What is the curse and why did the guard say so? Ans. The curse of the Pharaoh – death or misfortune falling upon those who disturbed him, is considered to be true. The fans of the CT scan machine got stuck with the sand dust and stopped working during scanning of the mummy. Then the guard jokingly said that it was the curse of the Pharaoh. Later another pair of white plastic fans were arranged which worked well enough. Q1. Who was King Tut? Why was his mummy taken out for a C.T. Scan? Ans. King Tut was last Pharaoh of his family line which ruled Egypt for centuries. He was a very young boy when he took the throne of Egypt in 1332 B.C. The boy king soon changed his name to Tutankhamun, “living image of Amun,” and restored the old ways of religious belief. He ruled for about nine years and then died unexpectedly in 1322 B.C. King Tut’s death was a big event. He was the last Pharaoh of his family line. His funeral was the death bell of his dynasty. But the particulars of his death and the after happenings are not clear. King Tut was buried in the ancient Egyptian cemetery known as the Valley of the Kings. Tut was loaded with glittering goods: precious neckbands, engraved necklaces and bracelets, rings, amulets, apron, sandals, sheaths, for fingers and toes and iconic inner coffin and mask all of pure gold. Carter discovered Tut’s tomb for more than 3300 years after his death in 1922 and in 2005 his mummy was taken out of the tomb for the first time for his C.T. scan. The probe by the C.T, scanner was to look into the delayed medical mysteries of this little understood young ruler about his life and death. Q2. What problems did Howard Carter face with regard to Tut’s mummy? How did he solve them? Ans. Howard Carter, a British archaeologist, discovered King Tut’s tomb after years of searching in 1922. He found fabulous treasure in the tomb, even though it had been ransacked earlier. The treasure consisted of golden coffin, gold ornaments and even petty things of everyday need. Carter found three nested coffin. In the first, he found the garlands of leaves and flowers. But when he reached the mummy, he ran into trouble. The resins spread below Tut’s body had hardened. The coffin was of solid gold. Neither human force nor the scorching sun could loosen the body. So Carter used chisel and hammer to remove the resins. He had little choice. Tut’s mummy also had to be removed part by part. 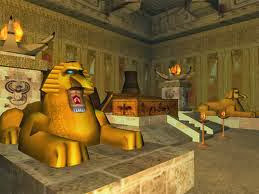 Having taken .out the gold coffin, the body parts were reassembled, put in a wooden box and placed in the tomb again. Ans. King Tut was just a teenager when he died. He was the last heir of a powerful dynasty. His rule lasted for just nine years. The mystery of his early and unexpected death is still unresolved. His tomb was discovered in 1922 by a British archaeologist, Howard Carter. He found a big treasure in the form of ornaments, gold coffin and other everyday things—all of pure gold. The pharaohs or the Egyptian Kings believed that they would need gold as well as things of daily need, food and wine in afterlife. So they got them buried along with their mummies or dead bodies preserved with chemical pastes. Tut’s untimely death in his late teens raised curiosity to know the cause. So 60 years later, his mummy was X-rayed. In 2005, this body was put to CT scanning. But to this day the details of his death and aftermath are unclear. Q4. In 1922 Tut’s tomb was discovered. Much of the treasure buried in the tomb had already been plundered. Materialistic attitude of man does not allow even the dead to sleep in peace. Will there be any end to this attitude? Ans. For a handful of gold man can go to any extent. Tut’s mummy was buried deep with a lot of gold and other things believing that the dead pharaoh would need those things in the afterlife. It was a matter of faith. When Tut’s tomb was discovered, much of the treasure had already been looted. The thieves did it being driven by the mad force of materialism. Materialistic attitude attaches no importance to beliefs, religious sentiments and social rites and rituals. Ethics and morals have no sanctity for them. Their aim is to get wealth by any means. This materialistic attitude will never see its dawn. God Himself may advise man to reject materialism and tell him that all paths lead to death and there is no use to perpetuate ill deeds. This sermon will have no effect and materialistic attitude will get sharpened day by day. Once thoroughly dried, the organs would put into separate containers called canopic jars. The Egyptians believed that all body parts would be magically reunited in the afterlife and the body would become whole again. The stoppers of canopic jars were shaped like the heads of the four sons of the god Horus. Each son protected the organ placed inside his respective jar. Duamutef, who had the head of a jackal, guarded the jar that contained the stomach. Qebehsenuf, who had the head of a falcon, watched over the intestines. Hapi, the baboon-headed son of Horus, protected the lungs, while human-headed Imseti was in charge of protecting the liver. Canopic jars were usually stored in a chest that was later placed in the tomb with the mummy. The brain was another organ that was taken out of the body, but it didn’t get its own canopic jar. The Egyptians didn’t realize its importance. They thought its sole purpose was to produce snot. was used to stir up the brain until it was liquefied. Then the embalmers would turn the body face down to allow the brain to ooze out the nostrils. After all the organs were removed, the body was washed with wine and rubbed with spices. The alcohol in the wine acted as an antiseptic, helping to kill bacteria. The corpse was then covered with natron for 40 days to dry out. Once dried, the skin was shrunken, wrinkled, and leathery. The mummy was cleaned one more time and rubbed with sacred oils to soften the skin. After the body was fully dried and cleaned, it was adorned with jewelry. Then it was covered in linen shrouds and bound with linen strips. During some time periods, the name of the mummy would be written on the ends of the bandages – an ancient practice that has helped modern Egyptologists identify certain mummies. Small magical amulets were inserted between the layers of the bandages to further protect the mummy so the soul could be guaranteed to live forever. As each layer was added, it was coated with a sap called resin to hold the wrappings together with a waterproof seal. The Egyptians had yet another way to make sure the soul could recognize its own body. After the mummy was wrapped, a mask was fitted over the head and shoulders. The faces on these funeral masks resembled those of the dead, so soul could identify the mummy as its own. Funeral masks were made out of solid gold (like King Tut’s), wood, or cartonnage. Wooden and cartonnage masks could be painted or gilded with gold – the look of solid gold at a fraction of the price. To ensure a mummy’s safety, an Egyptian embalmer could place it in one or more coffins. The earliest coffins were boxy and made of wood. Their decoration was usually very plain, with just some hieroglyphs and a pair of wedjat eyes painted at the head end. The wedjat eyes allowed the mummy to “see” into the world of the living. As time passed, the decoration became more elaborate. Images of gods, hieroglyphs that spelled out protective prayers, and pictures of amulets covered almost every square inch of these coffins. In later times, Egyptians began to make anthropoid (or mummiform) coffins. Whether you call them anthropoid or mummiform, both words mean “human shaped.” Like funeral masks, mummiform coffins had faces that resembled the person inside for easy recognition. Many of these were made of cartonnage because it was cheap, light, and easy to work with. Some were gilded with gold as well. These coffins were heavily decorated with hieroglyphs and pictures of gods and magic symbols to protect the mummy on its way to the afterlife. And for even more protection, some mummies were placed in a sarcophagus. A sarcophagus is a large coffin made of stone or gold. Sarcophagi were expensive, so only pharaohs and queens, viziers, priests, and other important and wealthy people were buried in them. 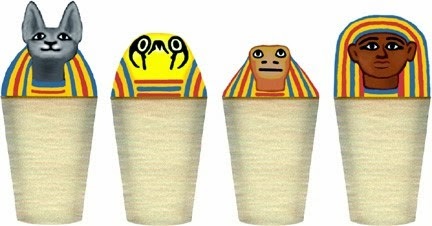 Like regular coffins, sarcophagi were either boxy or mummiform. A person’s favorite possessions would be placed with them in the tomb to let the mummy be prepared for the afterlife. King Tut must have really enjoyed his afterlife. He was provided with hunting weapons, senet game boards, chairs, make-up, food, statues, sandals, clothes, couches, models of boats, and lots more. Sometimes a statue modeled after the deceased would be placed in the tomb with the mummy. These “ka statues” served as an emergency back-up, to make sure the ka had a substitute body in case something ever happened to the mummy. A preserved body, amulets, a funeral mask, a decorated coffin or even a sarcophagus, a tomb full of goodies, and a bunch of shabtis aren’t that enough to guarantee that the parts of the soul will live forever in the afterlife? Not quite. Another “must have” was a copy of The Book of the Dead. Even though it’s called a book, it really wasn’t. The Egyptians didn’t have books with covers and bound pages. The Book of the Dead was actually a collection of spells and prayers written on papyrus scrolls. Before the mummy’s spirit could reach the afterlife, it had to pass through a dangerous underworld known as Duat. Monsters, giant cobras, and lakes of fire were some of the dangers found in Duat. Along with the amulets wrapped up in the mummy and the spells painted on the coffin, the spells and prayers in The Book of the Dead helped the spirit make it safely through this perilous trip. The ultimate and final test for the spirit’s voyage through Duat was The Weighing of the Heart. This test was always shown in The Book of the Dead. It shows the ba of the dead person watching the test, hoping to pass. Anubis stands under a scale and verifies that it’s working correctly as the ibis-headed scribe god Thoth waits to record the results. The heart of the dead person is weighed against “the feather of truth,” a symbol of Ma’at, the goddess of truth, justice, and order. If the heart weighs less, the spirit is free to go on to meet Osiris in the afterlife. But if the heart is heavy with sin, it is thrown to Ammut, a monster who is equal parts crocodile, lion, and hippo. When Ammut gobbles up the heart, the spirit is denied an afterlife and simply ceases to exist. Since the sun appeared to die in the west every evening, it made sense that the dead should end there too. So to get to the tomb in the necropolis, a trip across the Nile was necessary. The embalmers transported the mummy across the river on a boat, where it was picked up by the mourners on the other side. The mummy would be placed on a boat-shaped sled called a bier. This pretend funeral barge was either pulled by oxen or it was just dragged by people. As the funeral procession made its trip to the tomb, servants carried food and drink, shabtis, the canopic jars, and the mummy’s possessions. Several priests walked in the procession too, reciting spells and prayers from the Book of the Dead. A person’s status was judged by how many mourners were present at the funeral. Sometimes, families would hire professional mourners to cry hysterically at the funeral. These women would wave their arms, throw dust in their hair, and weep. The better the performance, the more they were paid. Once the funeral procession arrived at the tomb, a ceremony called The Opening of the Mouth was performed on the mummy. A priest would touch the mummy’s mouth with a special instrument that magically restored the mummy’s senses, so that it could eat, drink, speak, and breathe when it got to the afterlife. Finally, the mummy was placed in its tomb with all its possessions. The mourners would have a feast at the door of the tomb, and waste materials left over from the mummification process would be buried nearby. The mummy, now safe from decay and protected by spells and amulets, would hopefully soon join Osiris in the afterlife! my question is how far do you think ,is the allegation of modern day historians ,against carter justified ? what evidence has been extended to convince thr argument? Thank you guys so much ! this was enlightening. How can Tut’s birth be on 1341 and death on 1321? A very good description which was very helpful for clear concepts. Thanks a lot of yours.